Road traffic has been allowed onto the railway at Stromeferry in Wester Ross to help ease travel in the area. A stretch of the A890 has been shut since December following landslides. Traffic will be allowed onto the nearby railway when there are no trains passing through and until the risk of further slides is reduced. 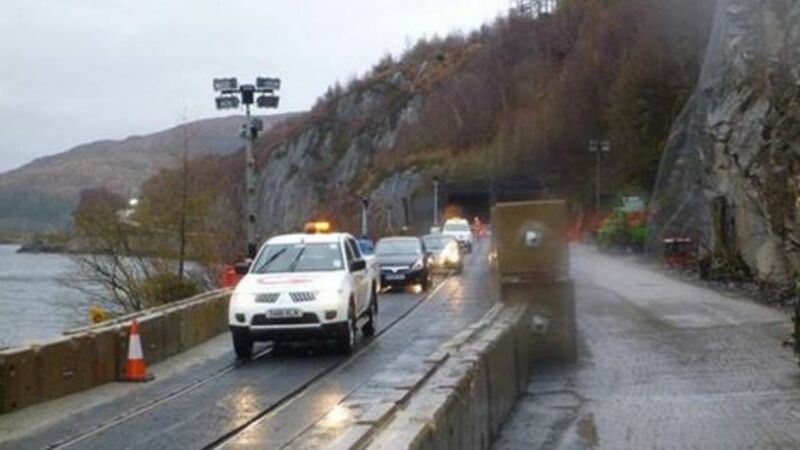 Road traffic has been allowed onto the railway at Stromeferry in Wester Ross to help ease travel in the area.